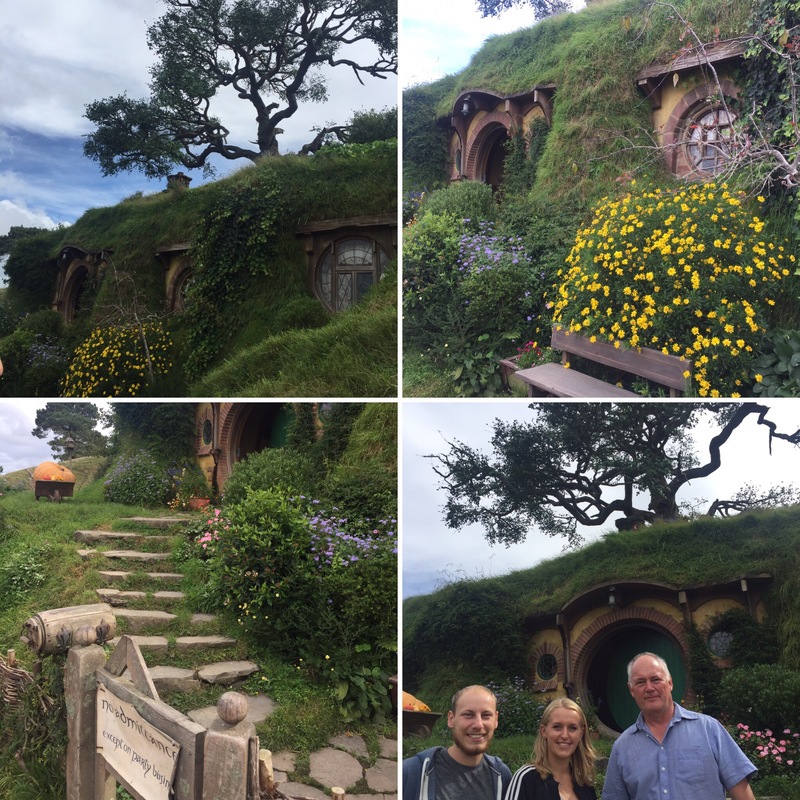 On the 26th March 2017, Steve took us to Hobbiton. 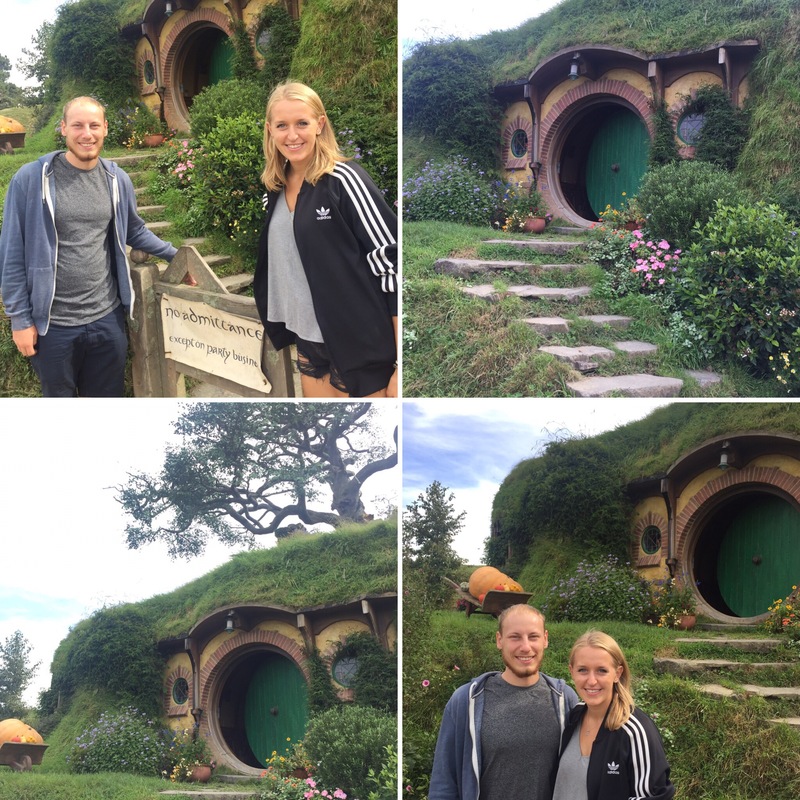 We both like the Lord of the Rings and the Hobbit so we were always going to make a trip here during our time in New Zealand! We were lucky enough to see three of our friends from surf camp – Stacey, Amber and Abby – who had just finished their tour when we were waiting for ours to start. What made this even better was that it was Stacey’s 19th birthday so we got to give her a happy birthday in person (especially nice as she’s from Canada so who knows if or when we’ll ever see her again!) It was a short but sweet meeting as we weren’t able to speak to them for long before our own tour began. 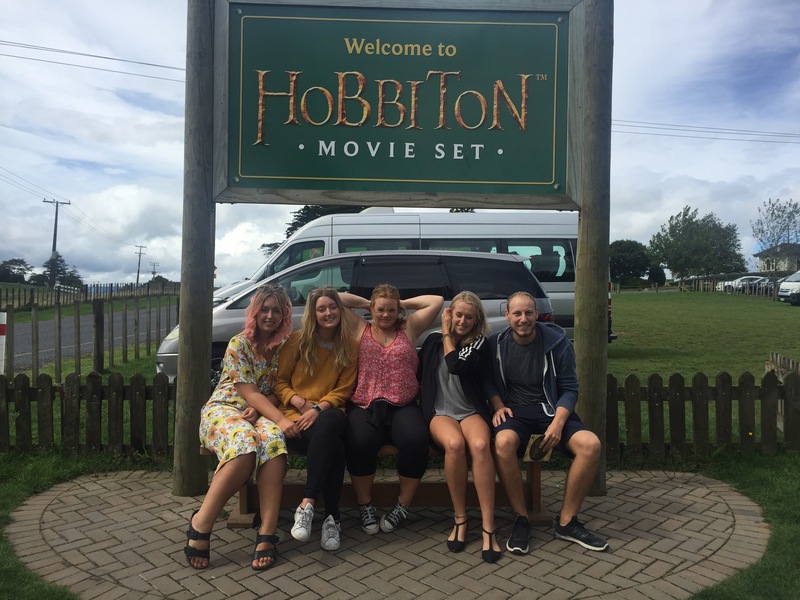 To get to Hobbiton from the ticket office you get taken on a coach which plays an introductory video with clips from the films and the famous Shire music. 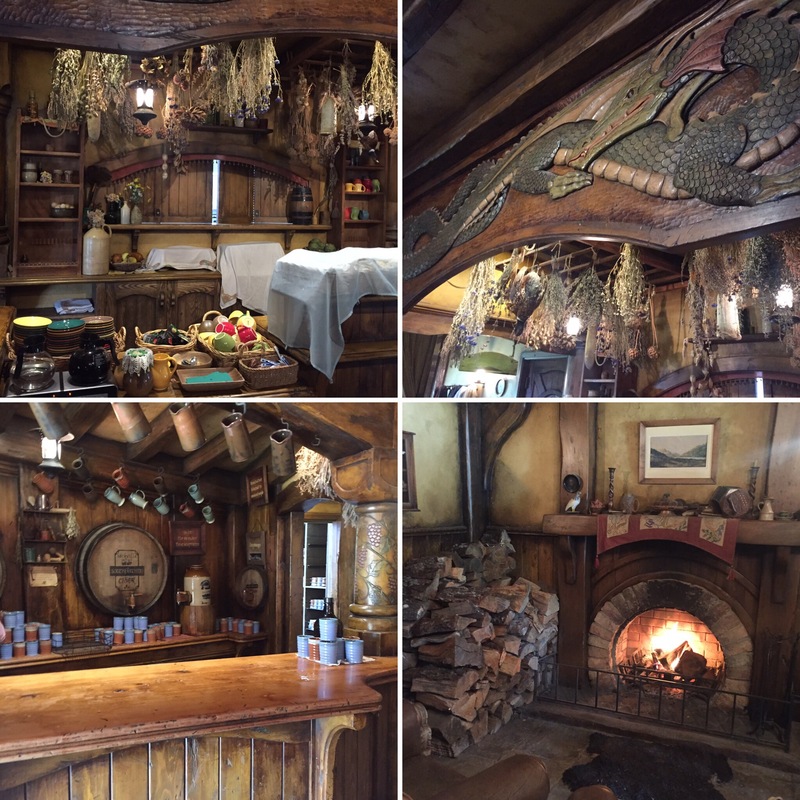 The coach takes you through the farm – that Hobbiton is built in – and tells you about how the setting was picked for the film. 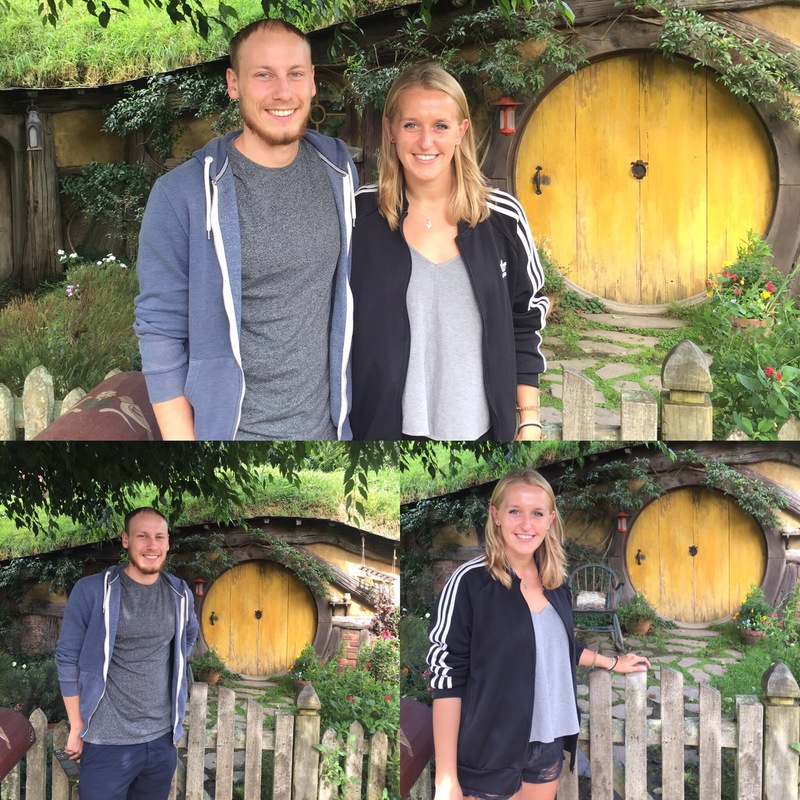 The story goes that whilst the owners of the farm were watching the rugby on TV, they had a knock on the door by the location scout of the Lord of the Rings to say that they had flown over the farm in their helicopter and were wondering if they could look around to potentially shoot a movie there. The owners told them they could but on their own as they wouldn’t miss the rugby. 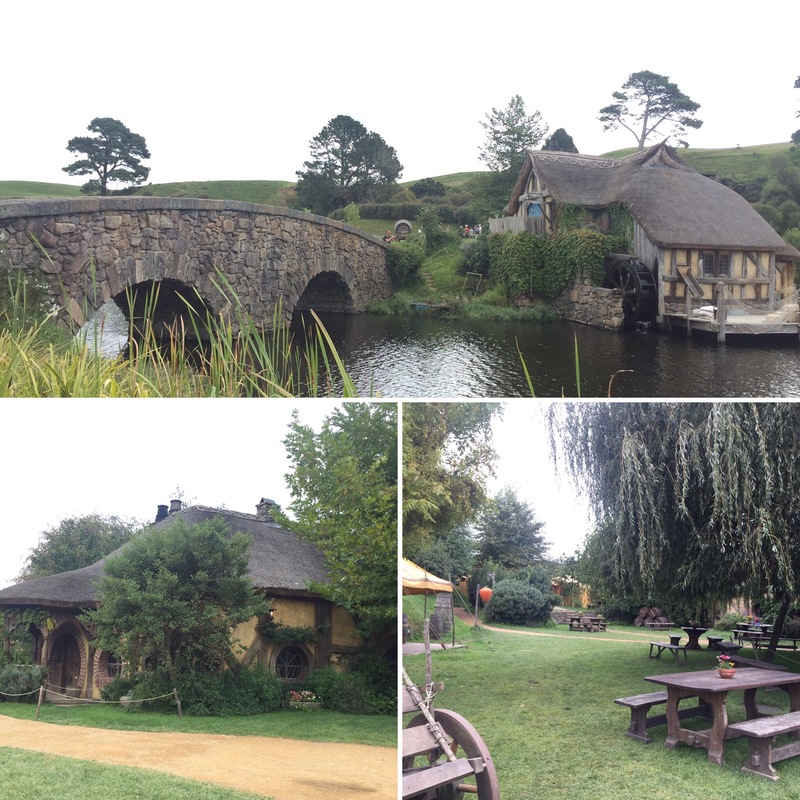 After the rugby was over a deal was struck to use the farm for Hobbiton. 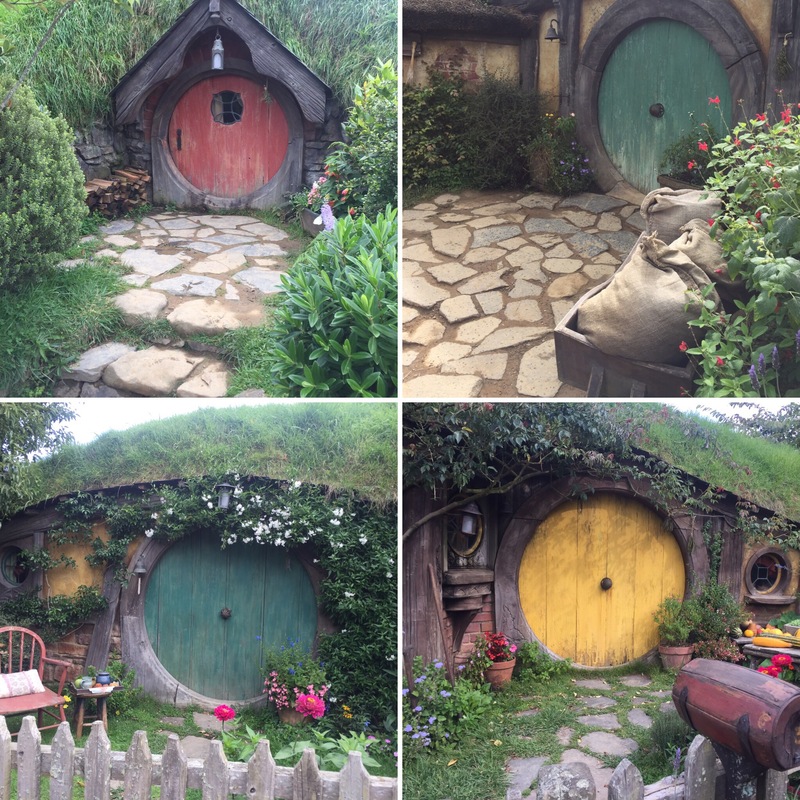 After the Lord of the Rings films were complete, the Hobbiton set was deconstructed and it was only when they returned to make The Hobbit films that the owners of the farm made a deal that they would be able to keep the set up and sell tours of the place for fans of both of the trilogy’s. 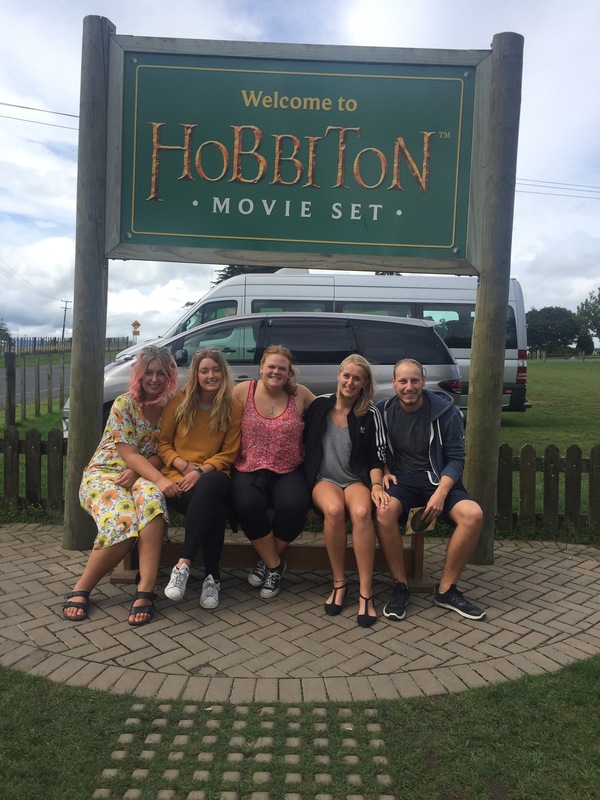 The tours you get of Hobbiton are all guided and our guide was very good at keeping us moving so we had plenty of time to see everything whilst also making sure we got all our photo opportunities ticked off. 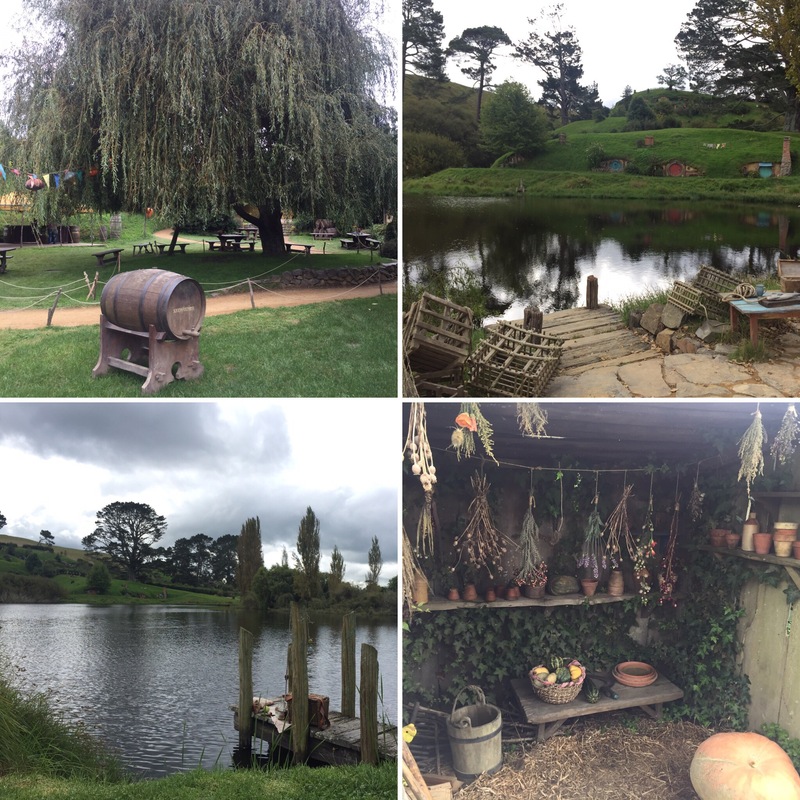 During filming there was a no fly zone for 5km around the farm so that there would be no noise during filming but also so that no one could see what the set looked like – everything about the film was top secret! 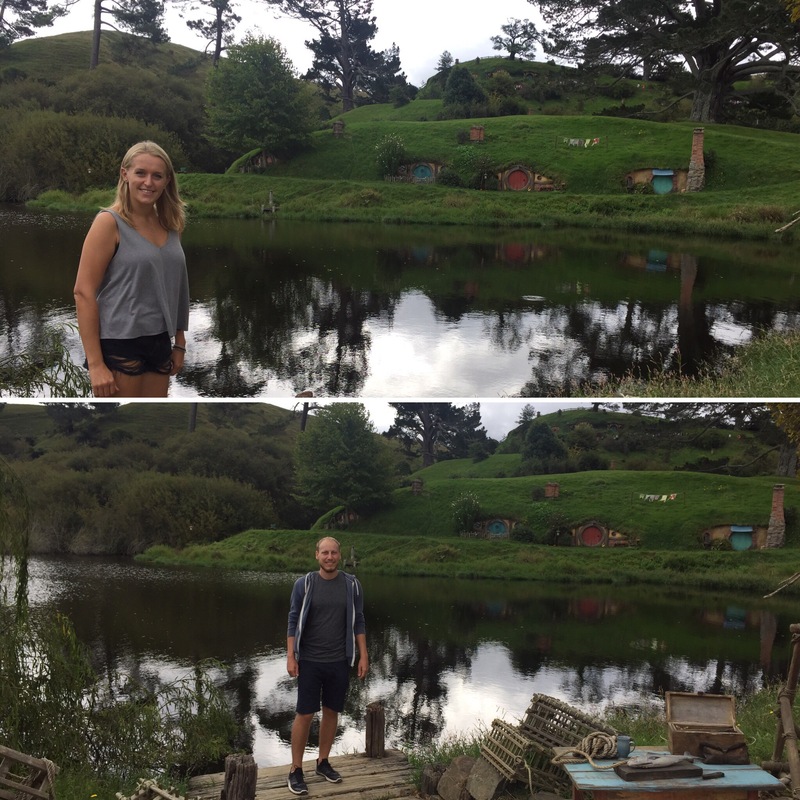 It’s so interesting to learn about the camera tricks they used, particularly involving perspective so that they could make Gandalf seem very tall and the hobbits seem very small. 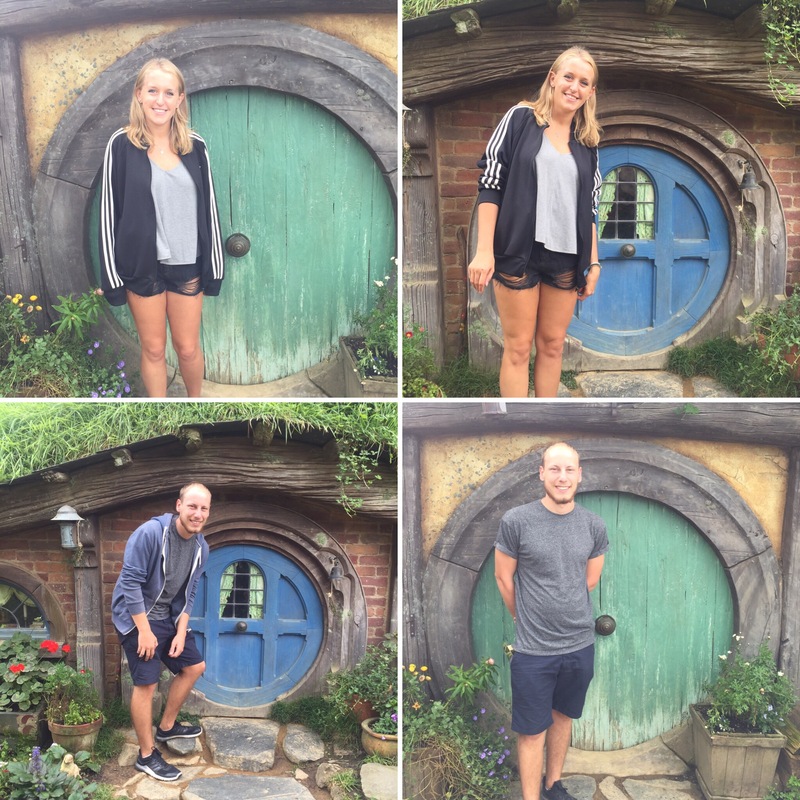 The ‘hobbit holes’ are actually all different sizes – some human sized so that you could stand in front of it and it look in proportion for a Hobbit and some tiny so that you look like a giant. The attention to detail is remarkable. 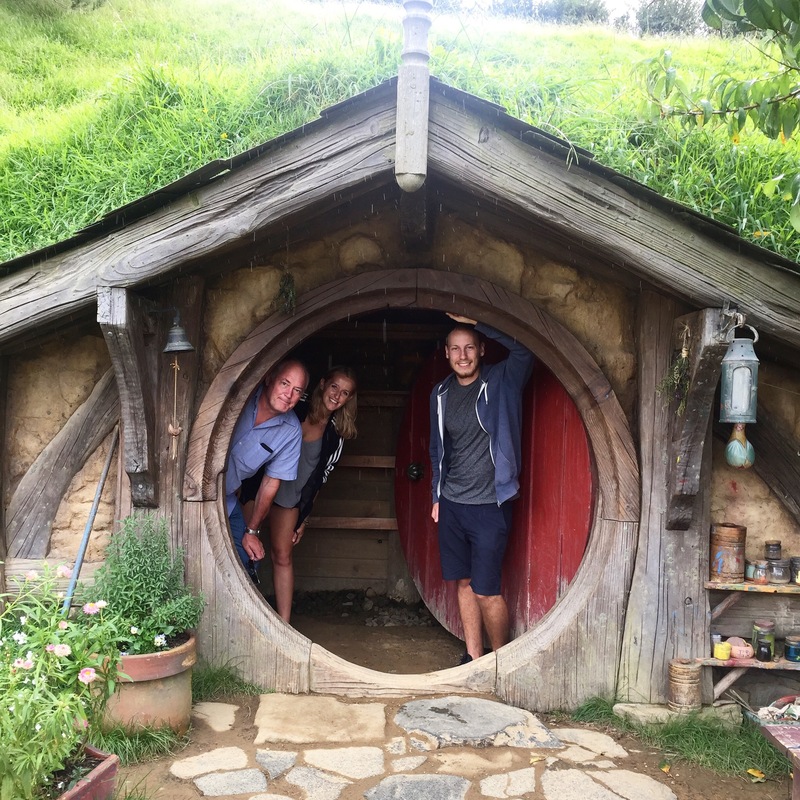 Every ‘hobbit hole’ has small items that are specific to that house for instance paint brushes, gardening tools, alcohol, food and wherever you look there are signs that would make you think the place was actually inhabited by hobbits. 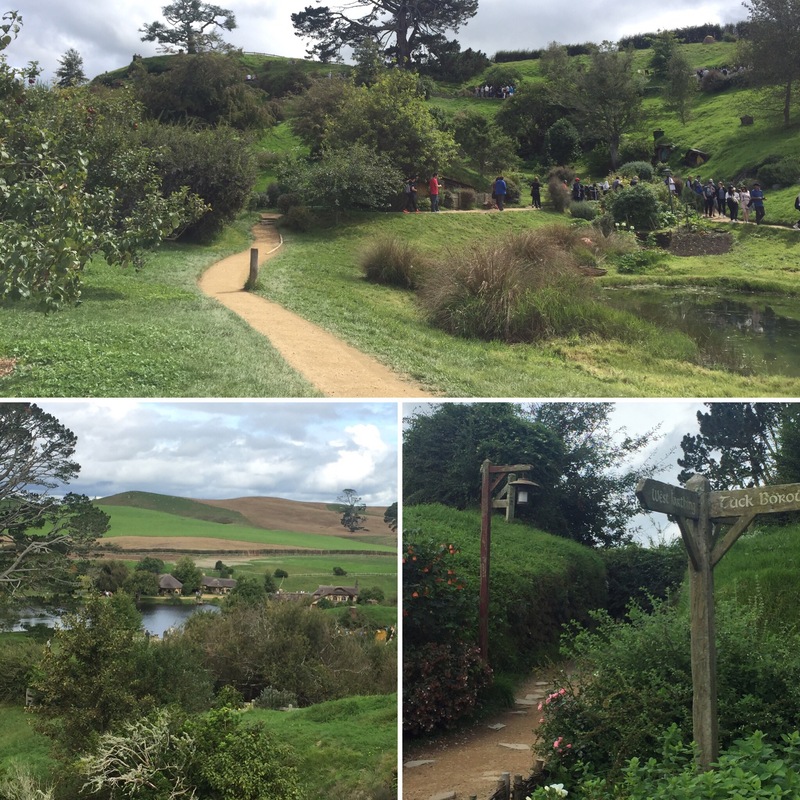 Another crazy fact when it came to attention to detail was in the sweeping shots of the land scape around the shire. The director thought that the farm’s sheep looked too modern for the setting of Lord of the Rings and so they were swapped for ‘stunt sheep’ brought over from the UK that looked more rustic – those poor sheep missing out on their big break! 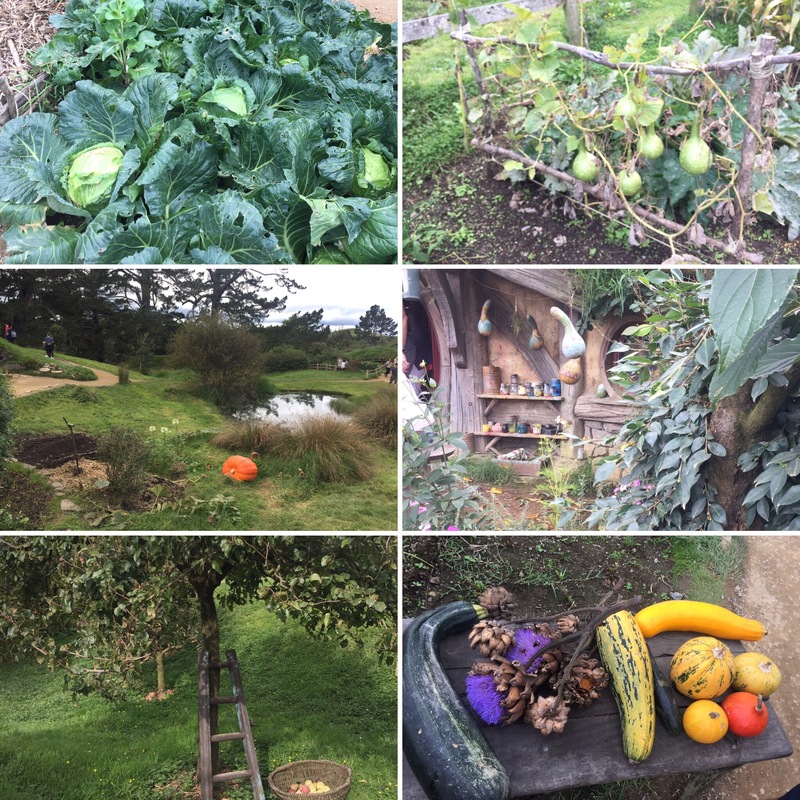 Hobbiton has apple trees growing there – in fact every plant seen on the films and on the tour is a real plant (except for the tree on top of ‘Bag End’ which is Bilbo and Frodo’s house). 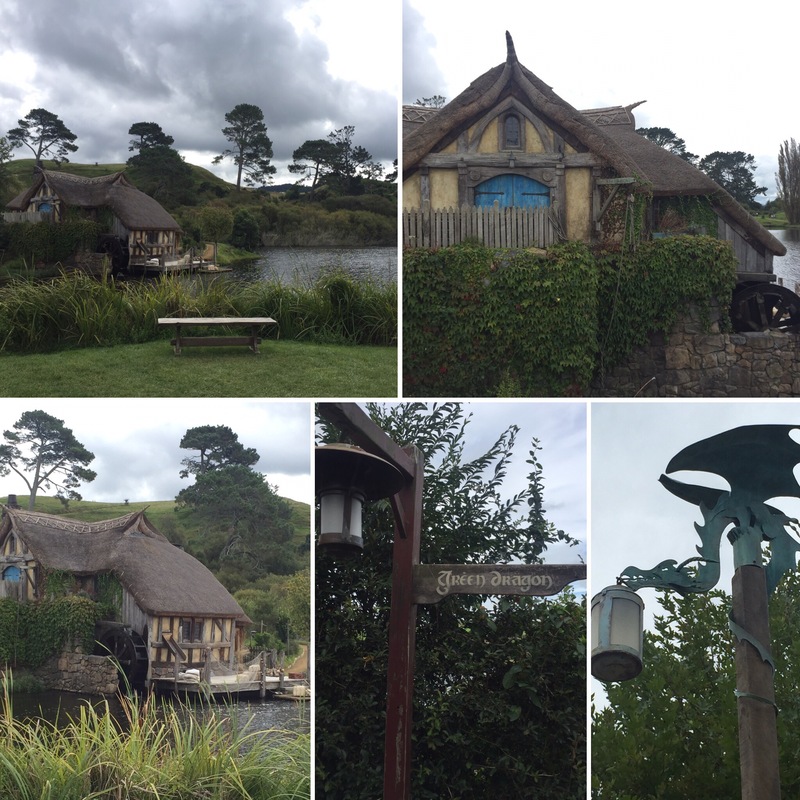 They wanted Hobbiton to be so accurate for the book but had logistical issues like the size they needed plants to be. Apple trees were the right size to be in proportion to the shire but the book talked about having plum trees. The crew had to take off every single apple and leaf from the apple trees and wire on fake plums and plum tree leaves for the filming – the amount of time that must have taken for just a few seconds in the film doesn’t bare thinking about! 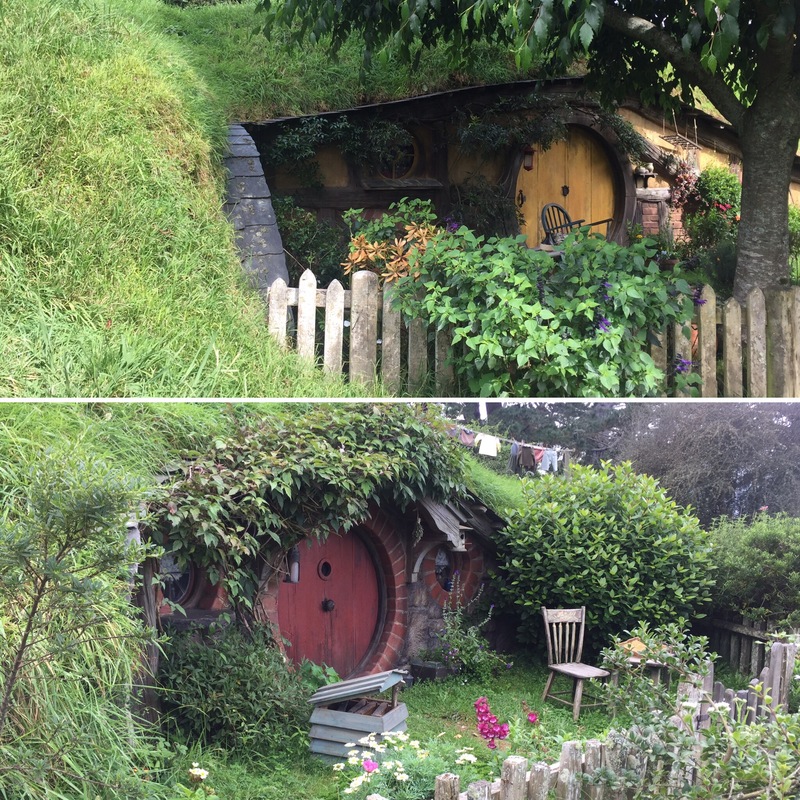 The hobbit holes are mainly just doors on top of mounds of soil with a few having small holes so that the door could open (the insides of the hobbit holes are all done in a film studio). 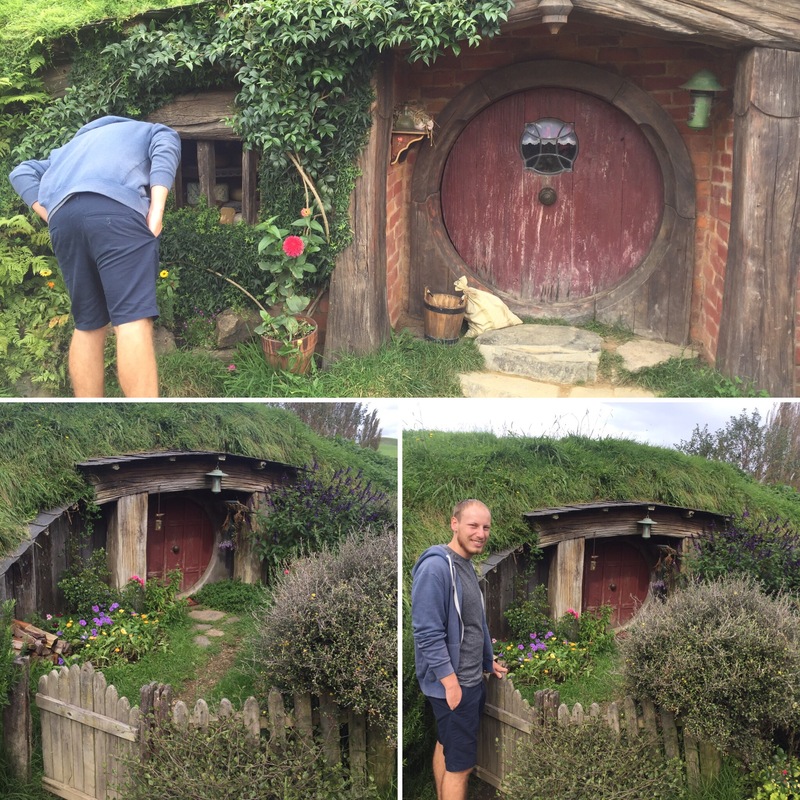 There is one hobbit hole that they let you go in so that you can get a picture of you peeping out of your own hobbit hole. Our guide was good at taking the pictures of everyone in the hole which was a nice touch. 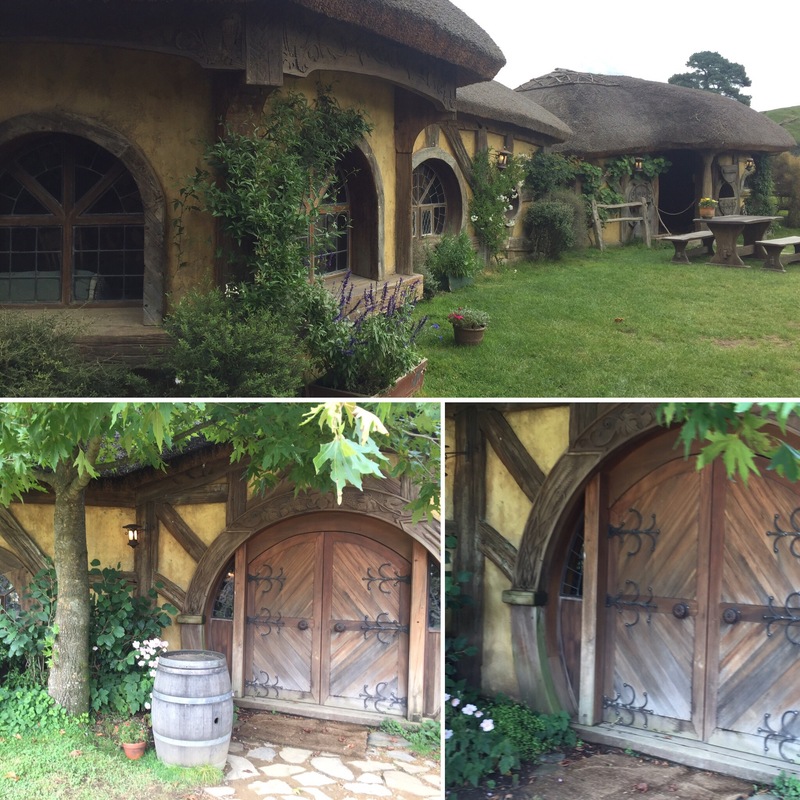 ‘Bag End’ is gated off and looks just as it would for the day of Bilbo’s birthday party – in fact all of Hobbiton does. 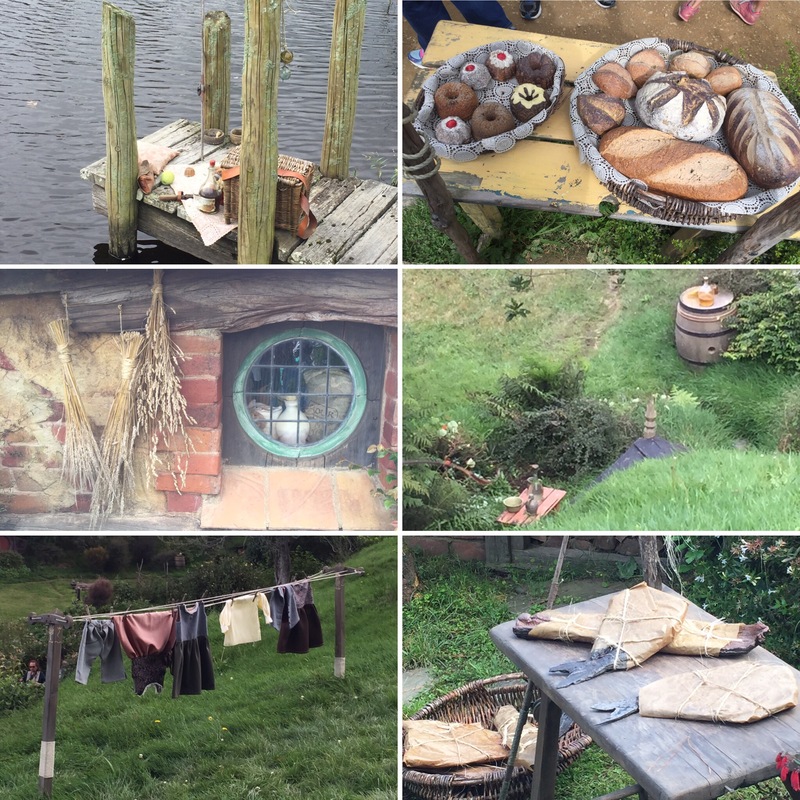 As I mentioned before, the tree on top of this hobbit hole is the only fake tree on the set. Because of the detail in the book they needed it to look just right – plus they didn’t really have time to wait for a tree to grow in the right spot – and so every leaf of the tree was wired onto it! You only really notice when there is a breeze blowing through the place as all the trees around move but this tree doesn’t. 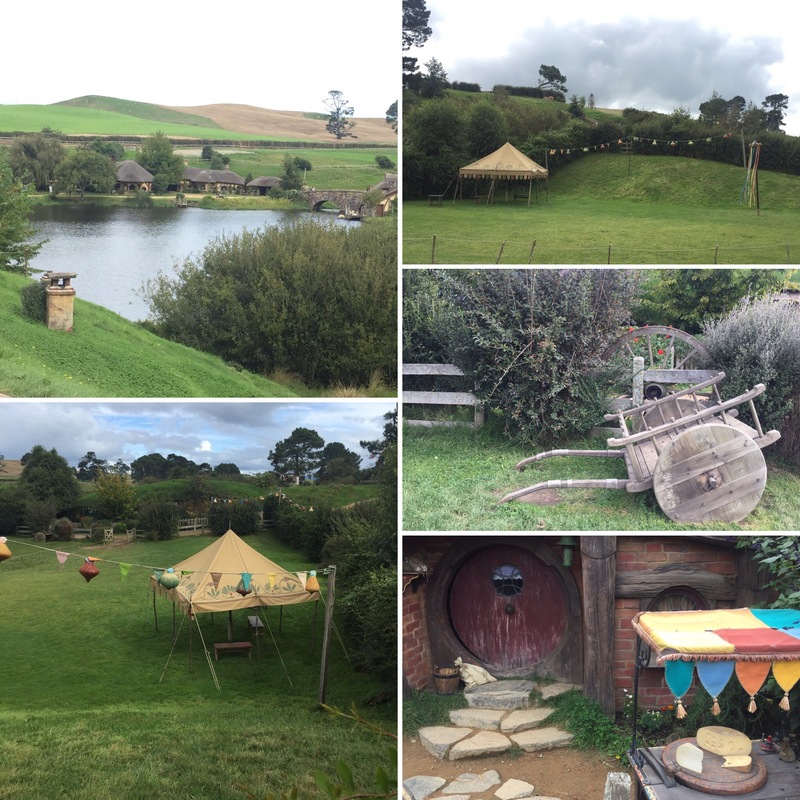 We were show the main field where Bilbo’s party was going to take place and there were toys and games that we could play with. 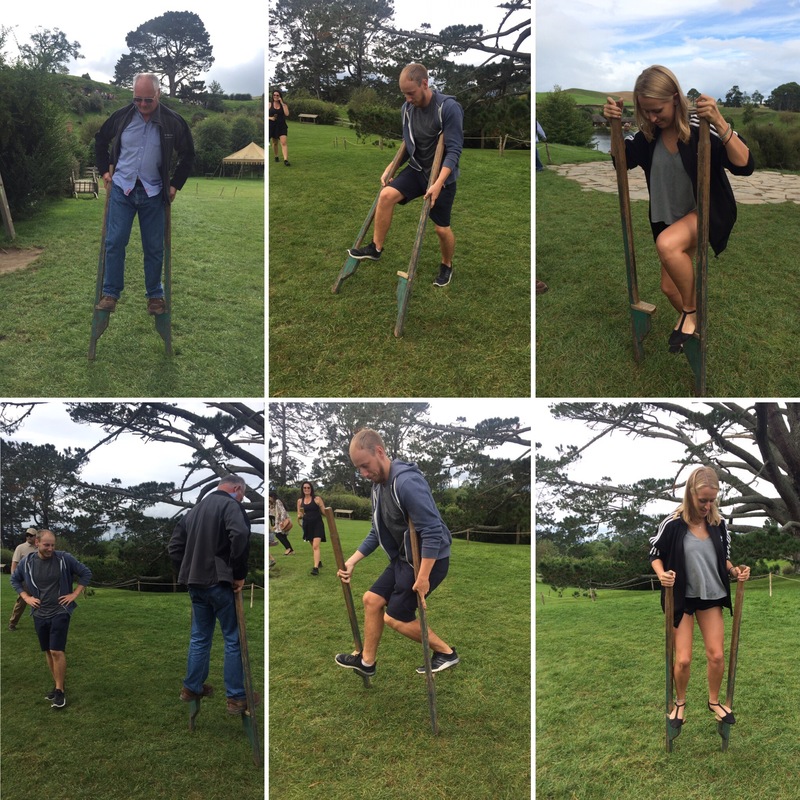 Niall, Steve and I had a go with some stilts that me and Niall found incredibly hard to get up on whilst Steve did it straight away and was able to give me and Niall a few pointers- it was a lot harder than we expected! 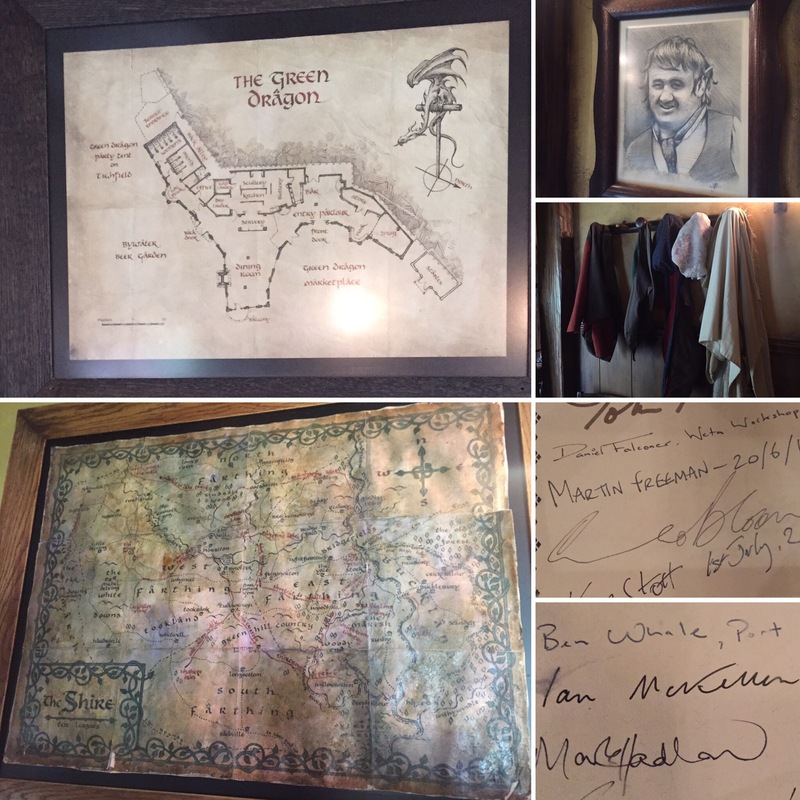 The final stop on the tour is to have a drink in the Green Dragon Inn which is a really detailed pub – it’s incredible really. 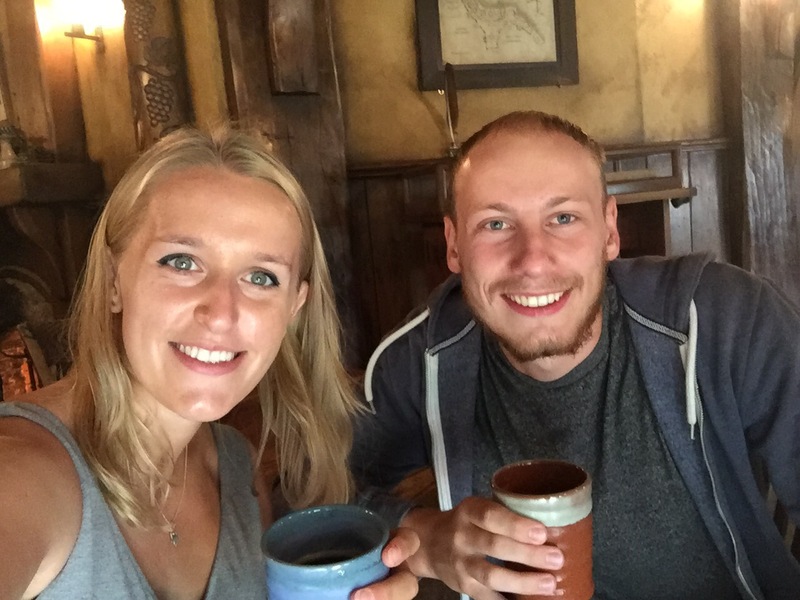 We got our free beer (well free as in it’s included in the tour) and spent around 20 minutes just looking at all the intricate details of the place including a visitors book signed by all the Lord of the Rings actors such as Ian McKellen and little adverts all in the theme of Hobbiton. 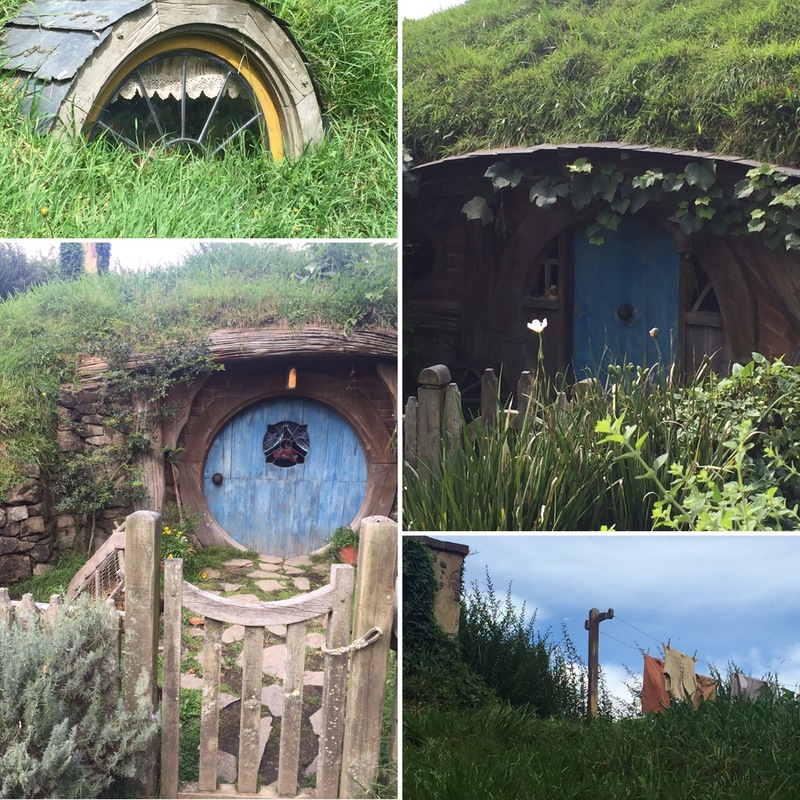 The whole place took two years to build for fifteen minutes worth of film which is just phenomenal. 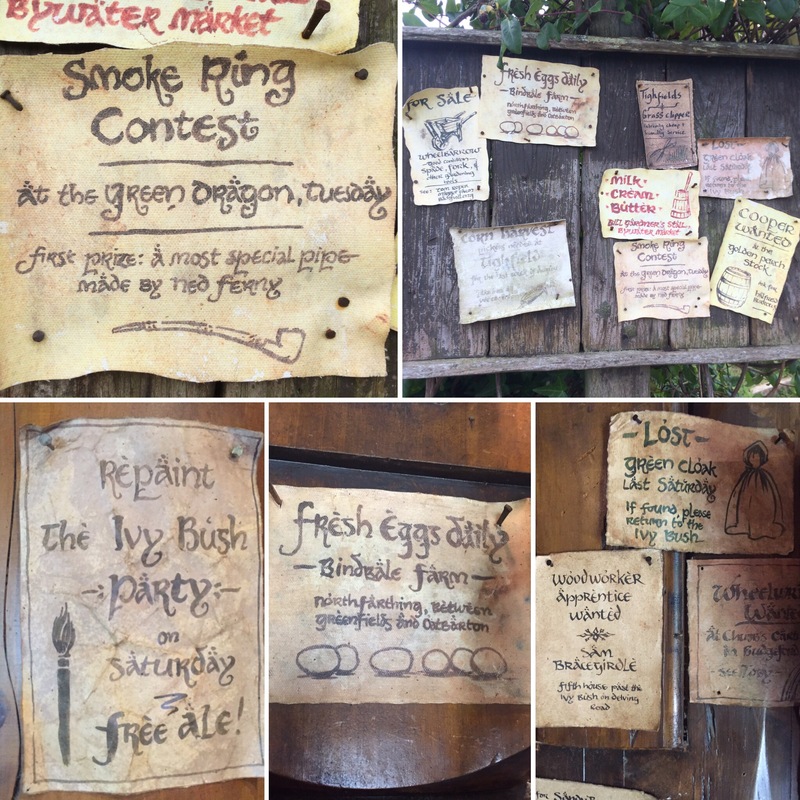 The attention to detail exceeded my expectations and I would recommend going here for any Lord of the Rings or Hobbit fans!